Born on Sept. 14, 1924, Coleman passed away at Scripps Hospital in San Diego on Sunday Jan. 5 at the age of 89 from complications after two surgeries for a brain bleed after a serious fall. A funeral service will be held at Petco Park on Saturday, Jan. 18. Entrance to the park will start at 9:30 a.m.
Coleman will be greatly missed, but had an extraordinary life. When the Major League Baseball season starts, and the first pitch is thrown, emptiness will be felt at Mighty 1090, where Coleman spent most of his life as the voice of the Padres. In 1972, Coleman began broadcasting for the San Diego Padres. He spent nearly four decades at this post. The only time he came out of the booth was in 1980 to manage the Padres. Long time voice of the Los Angeles Dodgers, Vin Scully told him he was nuts, and they finished last in the National League West that year. 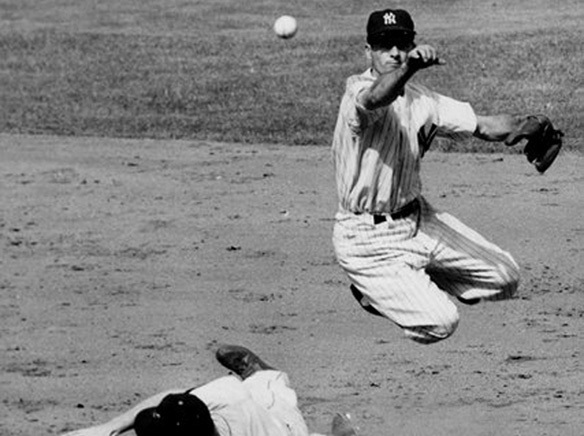 Coleman’s major league career started in 1949 with the New York Yankees and ended in 1957. In1950, he played 153 games, batted .287, and named the Most Valuable Player in the World Series when the Yankees swept the Phillies. Coleman, a marine pilot flew in the Pacific during World War II, and in October 1951, was recalled to fly again. This time he went to Korea for 18 months. Coleman missed a majority of two baseball seasons. Coleman was a firm believer that country comes before baseball. When Coleman returned to the Yankees after the war, he batted an anemic .217. He felt he was not seeing the ball well, and after a doctor visit found he had a depth perception issue. After the corrective eye surgery, Coleman broke his collarbone. It came time to hang up the spikes—so he thought. In 1957 Coleman had an impressive batting average of .364 in the 7-game World Series that year.